This past Tuesday, Jan. 15, marked what would have been Dr. King’s 90th birthday. That anniversary of Dr. King’s birth is an amazing yet sobering thought as we remember that just last year we also marked 50 years since his assassination, an event that shook our country, and in some ways our world, to its very core. As we remember those anniversaries, and as we commemorate the annual Martin Luther King Jr. Day, we have an opportunity to thoughtfully remember King’s long legacy of Gospel-infused activism. Inspired by his commitment to achieving change through the example of Christ’s life, I invite you to also be a biblical peacemaker. I know that we have heard these poignant words from Christ often: “Blessed are the peacemakers, for they shall be called [children] of God” Matthew 5:9 (ESV). That passage was one of King’s favorite Bible texts, and as the text reminds us, many times we have simply viewed peace as the absence of tension. But this way of thinking about peace may cause us to simply seek to diffuse all areas of conflict and disagreement in order to avoid crucial conversations with those around us. However, is that the kind of peace that Christ is advocating for? Or is it more in line with the words of King—peace, in actuality, also calls for the presence of justice? I’m reminded that Amos 5 charges us to “let justice roll down like waters, and righteousness like an ever flowing stream” Amos 5:24 (ESV). In the midst of this cold Michigan winter, I can’t think of a much more peaceful scene than to be seated next to an ever flowing stream. The amazing thing is that the biblical narrative tells us that the conduit to that metaphorical, peaceful, ever flowing stream of water comes through justice. I believe that calls us to hold people who are abusing those around us accountable, as opposed to being “non-confrontational” in order to “keep the peace.” Biblical peace invites us—compels us—to be conduits of God’s justice in the places and spaces that God has called us to occupy in our community, nation and world. I’m inspired by Dr. King, who truly lived a peacemaker’s life as he consistently allowed God to use his life to be a conduit of His justice in the world around him. In doing this, King followed God’s blueprint for His people, as the words of the prophet Isaiah remind us: “Thus says the Lord: ‘Keep justice and do righteousness, for soon my salvation will come, and my righteousness be revealed’” Isaiah 56:1 (ESV). God goes on in this passage to explain that His salvation is for everyone, especially the foreigner. “[T]he foreigners who join themselves to the Lord, to minister to him, to love the name of the Lord, and to be his servants...and hold fast my covenant—these I will bring to my holy mountain, and make them joyful in my house of prayer; their burnt offerings and sacrifices will be accepted on my altar; for my house shall be called a house of prayer for all peoples” Isaiah 56:6–7 (ESV). Both in our University MLK Forum with Soong Chan Rah on January 10, and during our Seminary/Graduate MLK Celebration on January 15 with Willie Hucks, we have been challenged as an Andrews University community to think about what King would have to say to us today, given the great challenges and divisions we see in this country as well as in our world, including even our own immediate world and community that surrounds us at Andrews University. With that in mind, I have been motivated to consider where I can be a biblical peacemaker who allows God to use me as a conduit of the justice that He would like to see come to fruition on this earth. As we reflected on the life and legacy of Dr. King during this weekend, let us remember that in order to call ourselves true, biblical peacemakers, we must be conduits of God’s justice on the earth. 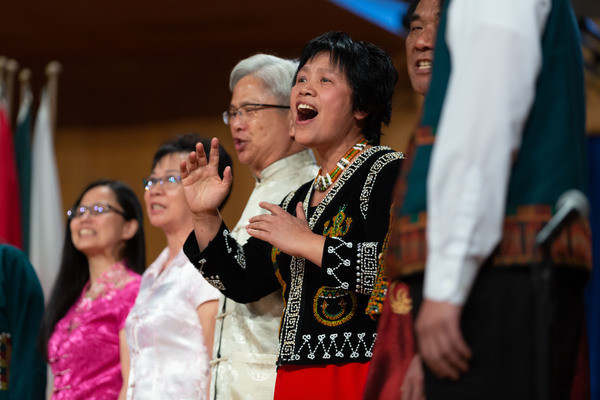 It is written on our houses of worship that they are houses of prayer “for all people”—we must continually commit to the work of making it so.